Companies have to spend money to make money. It’s cliche, but true. And it’s why Canadian cannabis outfit Aurora Cannabis (NYSE:ACB) has been able to issue a stunning amount of debt and ACB stock without much pushback from shareholders. Most investors recognize there’s marijuana evolution underway right now, and they support the idea of staking a claim sooner than later. That takes money. However, what if Aurora Cannabis has been hyper aggressive with its expansion-based spending at the worst possible time? This may well be a budding reality that ends up sucker-punching a few too many investors. Aurora Cannabis announced earlier this month it has raised $345 million by issuing convertible debt. It’s potentially dilutive, and creates an interest expense for Aurora in the meantime. But, fans and followers mostly don’t care. They understand the money will be used to make future acquisitions, like the $175 million CAD it shelled out for Whistler Medical Marijuana earlier in the month and like last year’s purchases of CanniMed Therapeutics, MedReleaf and ICC Labs for $852 million, $2.5 billion and $290 million, respectively. The acquisitions all makes sense considering the wave of legalization sweeping over the world. Pot companies need capacity and distribution now, before rivals gobble up all the best buyout candidates. From that standpoint, the aggressiveness makes sense. The future, however, isn’t guaranteed to be what many cannabis investors presume it will be. All of this deal-making may end up being an ill-advised expense ACB stock investors regret later. 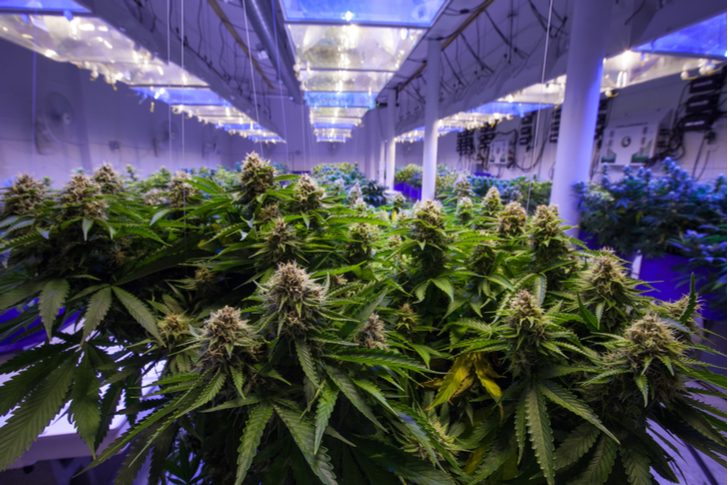 The warning was made for and of Aphria (NYSE:APHA), though it applies to Tilray (NASDAQ:TLRY), Canopy Growth (NYSE:CGC) and to Aurora Cannabis just as much — marijuana companies may already be fighting for nothing more than scraps. Worse, Aurora Cannabis in particular may be paying a steep price for those scraps. Regardless of the price tags, Aurora is arguably assembling a huge collection of different companies that at the very least will be tough to integrate. As of its most recent quarterly report, Aurora owned more than a dozen subsidiaries, and that was before the Whistler deal was made. And yet, that’s still not the end of the stumbling blocks that lie ahead for ACB stock. Aurora may be paying premium prices for capacity based on marijuana prices that just aren’t sustainable. In fact, we’re already seeing price-wars take shape as an unsurprising rush of supply has materialized to meet the demand created by legalization. It was reported last month that legal cannabis prices in Oregon have fallen 50% in response to a glut. Many suppliers and dispensers are struggling to turn a profit. Meanwhile, marijuana sales in Colorado are finally leveling off after a few years of legalization. With its total addressable market now being defined and fully tapped, discounting is the next step in the cycle. In October, Cannabis Benchmarks reported that wholesale prices of marijuana an all eight U.S. states where it’s legal were down year-over-year. It would be naive to think similar trends won’t develop in Canada, if they haven’t already. In the meantime, the U.S. headwind calls into question the upside of the expansion Aurora says it has planned for this year. Maybe Aurora Cannabis can create enough scale that it can outrun falling pot prices. Admittedly, the company’s proven to be pretty good when it comes to cost-culling and efficiency. And, maybe Aurora will be able to effectively sort out the logistics assembling more than a dozen different organizations into one, even if they’re geographically dispersed. And, maybe dilution will eventually slow, if not cease altogether, and the company can self-fund future deal-making. That’s an awful lot of ‘maybe’ though. Never say never, but as more time passes, it’s easier to see the marijuana craze has many parallels to the oil boom that led to the 2015 bust. You know the story. Seemingly stable crude prices inspired the industry to spend (too) heavily on new capacity in 2013 and 2014, but the industry ended up creating a price-killing glut in the process. The debt created before the 2015 meltdown, however, never went away even though pricing power did. As it turns out, legalized marijuana is a business just like any other. Competition rises. Growth creates headaches. Gluts form. A lack of focus is a liability. It’s cyclical, like everything else, and always changing. ACB stock isn’t immune to those trappings, even though many investors are still viewing it as a cottage business, which don’t draw much scrutiny and instead rely on sentiment to justify steep valuations. Time’s likely to change that though, if not sooner, then later. All companies and industries eventually fall off of their pedestal. Article printed from InvestorPlace Media, https://investorplace.com/2019/01/be-wary-pedestal-acb-stock-nimg/.